Nothing speaks louder than a supple, bold pout on your big day. And no one serves inspiration like our very own desi girl. Recently engaged and on a path to take over the world, actor Priyanka Chopra is going places. And while the actor has been doling out major goals while she travels (#couplegoals #relationshipgoals #fitnessgoals), we’re currently obsessed with finding out how Peecee maintains an almost-perfect pout all the time. On our quest, we stumbled upon vlogger Marianna Hewitt on Youtube. 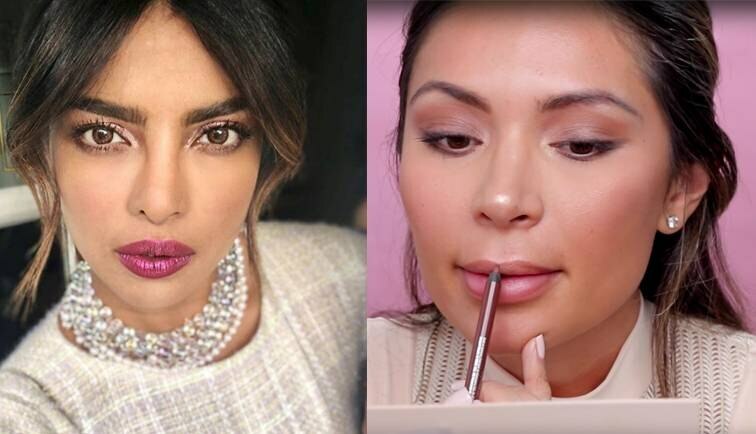 Using the overlined technique, a lip pencil, some moisturiser, and liquid matte lipstick, Marianna nails Peecee’s perfect pout and gets almost too close to the actor’s signature lip colour as well. Want to emulate the same look for your big day? Watch this video!